Here’s a pinup that Walt Simsonson worked on to raise money for a Gene Colan benefit last year, featuring Thor, Iron Man, and the Hulk riding a crazy space bike. Thor and Hulk are done in Simonson’s style, but with Iron Man, Walt managed to portray him in Colan’s classic style. Here is close up view of Iron Man in one early stage of this drawing. Colan had a way of drawing IM’s helmet, where the facial expressions came out of the mask. 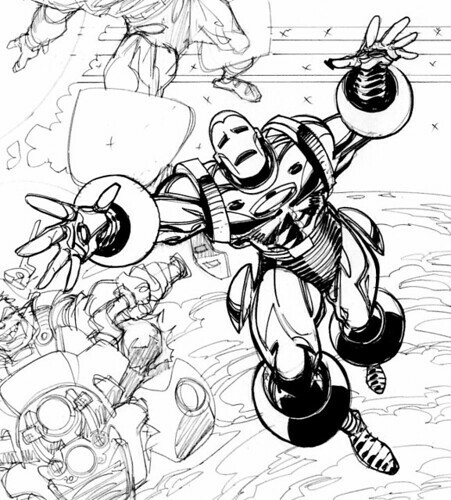 Simonson nailed that and other classic details, like the larger rings around Iron Man’s gauntlets, shoulders, hips, and boots. 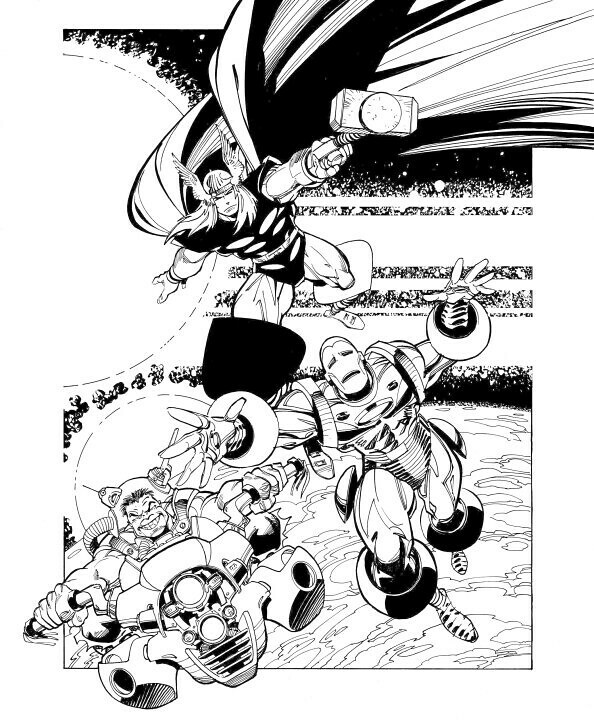 You can find these and other great Simonson pieces on The Official Walter Simonson Page on Facebook. For Gene Colan news, visit The Invincible Gene Colan Blog, as well as Clifford Meth’s blog. Nuff Said!